If, like most people, you perform your oral care regimen on autopilot, then this is the perfect opportunity to stop, examine and maybe even improve your daily routine. Brushing teeth and gums is the most important method for reducing plaque and preventing cavities, gingivitis and other plaque-related diseases. 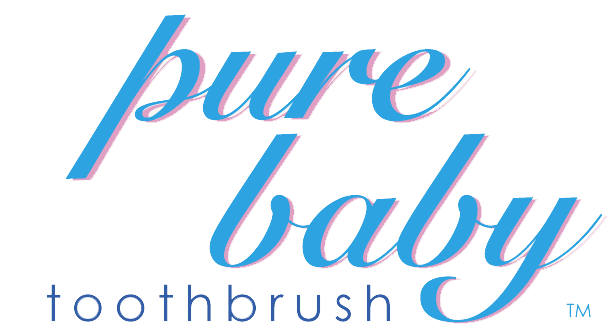 Dental experts know that when it comes to brush bristles, softer equals better. RADIUS® toothbrushes boast finer, longer, softer bristles that reach every nook and cranny of your mouth while massaging the gums, rather than aggravating them like harder brushes. Bonus: using a RADIUS toothbrush feels so good you’ll want to brush for more than the recommended two minutes. “Interdental” cleaning of those tricky-to-reach spots between teeth is important for ensuring there aren’t any hidden layers of plaque or pieces of food — ticking time bombs that can spell problems down the road. RADIUS® makes two types of floss: A glossy biodegradable silk, and a pliable vegan-friendly nylon. The latter is coated with naturally sourced, tree-based xylitol (which prevents bacteria and reduces acidity while adding a hint of sweetness), and it comes in two delicious flavours, each with bonus oral health-boosting properties — antibacterial cranberry and antiseptic mint tea tree. Brushing and flossing alone can only cover so much ground, but following those steps with a quick swill of anti-microbial mouth rinse will eliminate germs and plaque throughout the whole mouth, for complete protection. Look for an antiseptic mouthwash which displays the ADA Seal of Acceptance on its packaging, or talk to your dentist for a recommendation. Every time you eat or drink, the bacteria in plaque begin to produce acid, which can contribute to demineralisation and even decay. While it’s certainly not convenient to brush your teeth after every meal or snack, chewing a piece of sugar-free gum will tide you over until bedtime. It stimulates the salivary glands — washing away stubborn food particles and neutralising acid to help keep your teeth strong and cavity-free. Stock up on these RADIUS products to kickstart your new oral heath routine. The Source has an unbreakable (under normal use) slim neck that’s longer than your average toothbrush to provide maximum reach in tight spaces. Plus, thanks to replacement-head technology and a handle made from repurposed materials, The Source reduces waste by 93%. Flossing is an integral part of any thorough oral care regimen, but not all flosses are created equal. Our Natural Biodegradable Silk Floss® takes us back to a time before the nylon of today’s floss took over — when floss was made of pure, inviting, luxurious silk. Free from the toxins found in similar products, RADIUS®’ silk floss glides easily between teeth for a meticulously clean finish. The Doc is so much more than a toothbrush holder. Its a game-changer in the bathroom and beyond. The suction base fixes easily to any smooth surface, securely clasping your RADIUS toothbrushes.